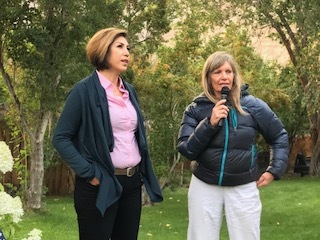 Paulette Jordan, who is running to become our next Governor of Idaho, is meeting residents across the state even in rural Idaho areas such as Challis. Last night, over eighty Custer County residents met, greeted, enjoyed and learned about Paulette Jordan’s vision for Idaho as its new Governor. Kudos to Sandra Willingham for organizing and hosting this event. For more information on how to volunteer for Paulette’s campaign, please visit here.